Whenever trading binary options, the broker website and investment platform are going to make a considerable difference in regard to just how easy trading in fact is. Complex platforms can definitely render trading more difficult, and may even decrease overall earnings in some instances. Other variables, such as insufficient analysis tools may also be damaging. While broker reviews do an excellent job of exposing platform features (or lack thereof), traders are encouraged to explore platforms first-hand to make their own determinations. Many simply want the platform they use to be user-friendly. This term means different things to different people, however. Some associate this with the general layout of the platforms, while others may consider how aesthetically pleasing the website is. Others may relate it to the specific capabilities and functions which are offered. In truth, all of these and much more can be considered in regard to platforms. Reviews are great for telling you all about the specifics, but from there it would be wise to visit the platform and make use of a demo account if one is provided. A strong platform is going to incorporate trade windows which deliver easy to read, accurate data and information. While several trading windows could be displayed, most binary options traders have a preference for having the capability to execute each trade in a single window, after which their able to observe the asset price movement inside the exact same window. 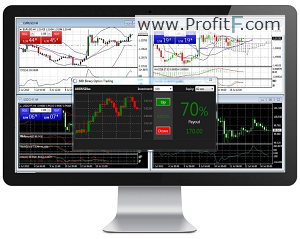 User-friendly generally translates to easy, and simplicity is demanded by modern traders. Most brokers are more than willing to meet this demand. 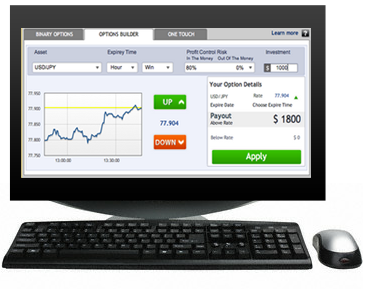 Charts, graphs, and other tools are often integrated into binary options platforms. These make it possible for traders to easily assess both current and past underlying asset price performance. If these tools are not offered, traders are compelled to leave the platform in order to access this type of information. There are some who opt to collect this information from external sources in any case, but having the capability to access price information inside the platform still remains important. Live price data should be provided by all brokers. These figures should be included within the trade window and possibly elsewhere. Not all brokers offer live streaming news and market analysis. Each of these can be incredibly useful and as therefore ought to be viewed as desired platform components. Another consideration would be the provision of strategies. These are widely offered, but there has been a notable increase in the number of brokers who are willing to share this type of information. The quickest way to learn a lot about any broker and investment platform is to rely on broker reviews. Make use of these to quickly eliminate undesirable choices. Once you’ve narrowed down the options, take the time to really examine the platform. Most popular are SpotOption Platform, Tradologic Platform, TechFinancials Platform…Keep in mind that demo and practice accounts are not always advertised. Feel free to ask brokers if they offer these types of accounts, as they are the number one way to fully evaluate any binary options platform.